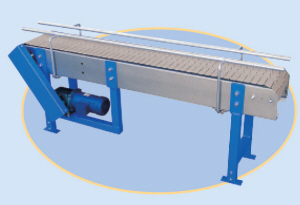 Flat -Top Chain Conveyors - Roll-A-Way Conveyors Inc. These chain links have a flat surface and form a continuous belt. Conveys can, bottles and similar units. Steel or stainless steel chain available.